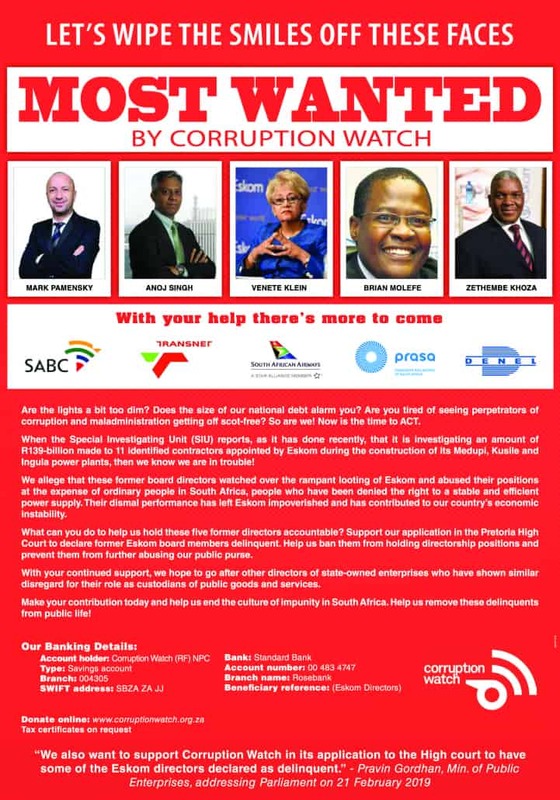 In early February Corruption Watch launched an application in the High Court in Pretoria, to have former Eskom board members declared delinquent. Our application, which is brought in the public interest in terms of section 157(1)(c) of the Companies Act 71 of 2008, focuses on the violation of fiduciary duties and gross negligence on the part of former board members. 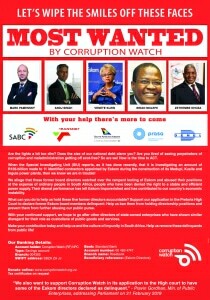 Mark Vivian Pamensky, Anoj Singh, Brian Molefe, Venete Jarlene Klein, and Zethembe Wilfred Khoza. Our case comes at a time when the full effects of the failure of Eskom leadership to maintain infrastructure, ensure good governance, and deliver on their mandate is felt all around the country – and especially by those who struggle every day just to survive. 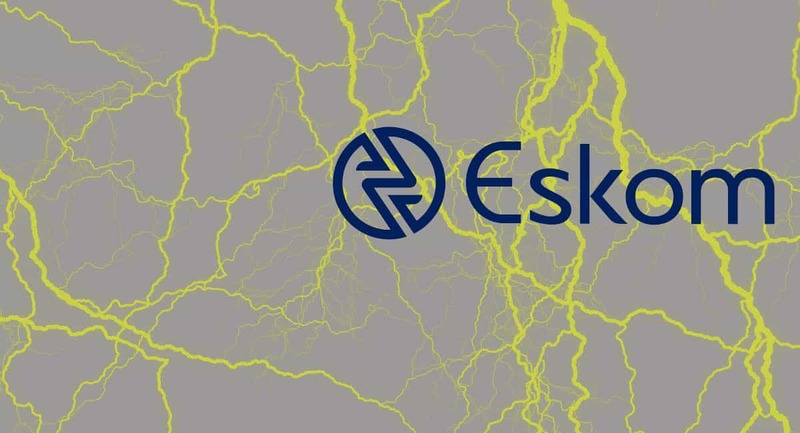 Despite the removal last year of the majority of the then board of directors of Eskom and the removal of Lynne Brown as minister of public enterprises, the lack of oversight and poor management in the preceding years has left Eskom in an impoverished position and has contributed to South Africa’s economic instability. The situation is also scant incentive for foreign investment. 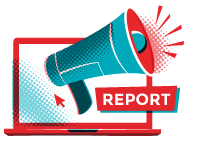 Support us in this important application by making a donation – your contribution will help us to proceed and succeed.